comicbookgirl19 fan arts! – cocoa likes this! 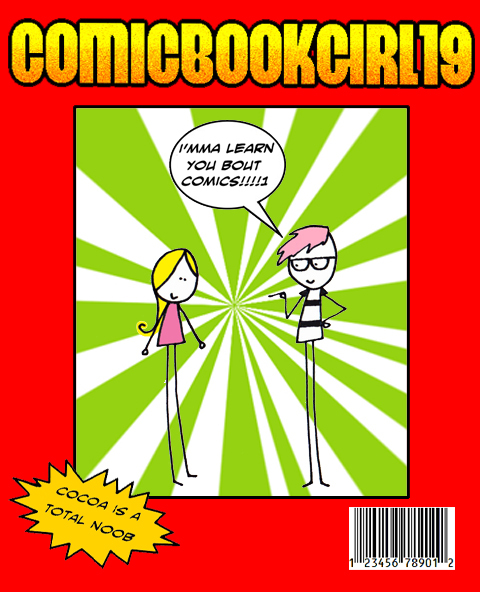 i made this for my friend comicbookgirl19. peep her videos HERE to learn more bout comics! personally, i am taking private lessons since i got a lot of catchin up to do. Tagged comic books, comicbookgirl19, fan arts, friends, i got frans in high places, learning new things, teach me your ways, yeah she even got colors in her hairs! Awsm! i Like the UPC code.